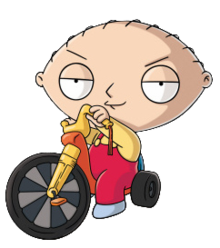 The episode featured a glimpse at what Stewie might be in the future (a British doctor with a younger, male partner) and it wasn't what a lot of people expected it to be. During the moment when Stewie actually gets real, it's a very vulnerable minute that we don't normally see, and it was pretty impressive for many viewers. What did you think of the episode? Share your thoughts in the chat!